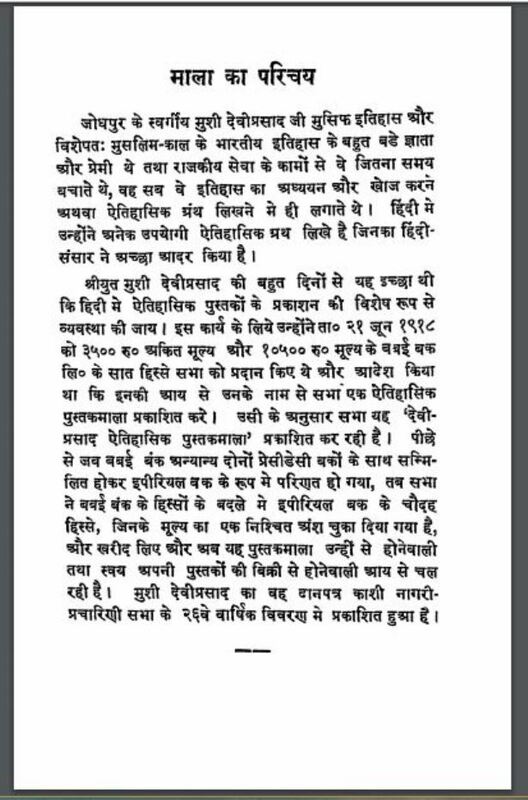 Description about eBook : Late Mushi devi Prasad ji Mushif of Jodhpur was very knowledgeable and lover of history and especially of Muslim-era Indian history, and the time he used to save the work of the state service, he studied and studied history, or writing historical texts. Used to be In Hindi, he has written many useful historical texts. Whose Hindi-world has felicitated…………..